Aesthetic concerns like sun damage, wrinkles, fines lines, and scars often begin to accumulate as people age. If you’re interested in improving these features with a treatment that features minimal downtime and discomfort, ICON® 1540 fractional resurfacing may be your ideal cosmetic procedure. At Skin Deep MD, we focus on providing our patients in the Fort Worth area of Texas with minimally invasive aesthetic treatments that are both comfortable and effective. Contact us today to learn more about ICON® 1540 fractional resurfacing or any of the other exciting treatment options that we offer. What is ICON® 1540 Fractional Resurfacing? ICON® 1540 fractional resurfacing is a cosmetic treatment that uses the power of laser technology to improve the quality, tone, and overall texture of the skin, while also correcting more specific skin concerns like stretch marks, surgical scars, and acne scars. During an ICON® 1540 fractional resurfacing treatment, pulses of energy are delivered to the patient’s desired treatment area. The pulses of energy pass through the uppermost layer of the skin and are absorbed by its deeper layers as heat. This heat stimulates the body’s natural healing process, beginning the creation of newer, healthier skin. In the weeks following each treatment session, patients will gradually see the smoothness, tightness, and overall tone of their skin becoming more healthy and youthful looking. Because the ICON® laser targets only the area of skin that each patient wants to improve, the surrounding areas of skin are left unaffected by treatment. This dramatically improves the amount of downtime and discomfort that patients feel during the procedure. Before treatment begins, prescriptions numbing cream is applied to the face or body to minimize discomfort. Patients are provided with eye shields to protect their eyes from the light of the laser used during treatment. During treatment, patients typically feel mild to moderate discomfort; this varies depending on how extensive each individual treatment is. Following treatment, most patients don’t experience extensive downtime. While side effects like redness and swelling are common, these usually subside within a few days. Some patients can achieve their desired results after a single treatment session, but for those who would like to see more dramatic results, we typically recommend undergoing additional treatments, each spaced between three and six weeks apart. Are you looking for a place in the Benbrook, Edgecliff Village, Burleson, Arlington, and Fort Worth areas of Texas to undergo an ICON® 1540 fractional resurfacing procedure? 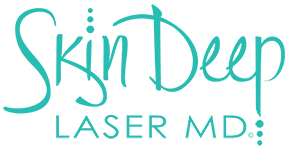 Contact Skin Deep Laser MD today to schedule your consultation appointment. We look forward to hearing from you!